Unless you wish to do something unusual/unconventional there are really only two types of roofing. High tensile sheet roofing and masonry (or terra cotta) roofing tiles. These are the most commonly available and economical roof solutions around the world. Both systems provide a wide variety of profiles and colours. Each also has their respective advantages and disadvantages. When it’s all said and done both are fairly equal in performance and price. In most cases, home buyers are more concerned with the look of one over the other rather than the performance of the respective materials. If you are building or matching a classic design then tiles are usually sought out. The main limitations of tiles are they must be laid on a minimum pitch of 22+ degrees of incline. Tiles are also generally not recommended for high wind, cyclone or earthquake-prone areas. Also, tiles don’t seal the roof space as well as metal so should have an underlayer (sarking) to make the roof space airtight and deflect condensation. Tiles are also heavier, requiring stronger roof structure. The positives are tiles last indefinitely and provide a look of solidity, are easily repaired and come in many profiles and colours. Metal roofs are becoming ever more popular, mainly due to the design flexibility they offer. In theory, they work from flat, to curved and anything in between. However, it is important to have at least 3 degrees fall on any flat roof to avoid storm leak issues. The flatter the roof the greater need for large gutters and overflows. 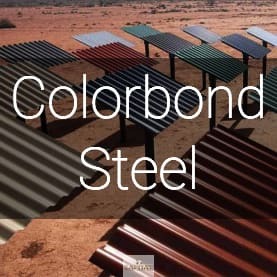 Colorbond and Zincalume coatings are guaranteed for 25 years but should be expected to last twice that and more. 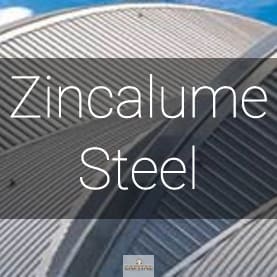 Bluescope (Australian coil steel producer) also provide up-specified, coated steel for coastal/corrosive environments. Metal roofs provide a very efficient base for solar panel installations. If installed correctly they provide an airtight roof space which is essential for energy efficient homes. 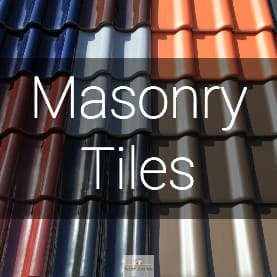 That leaves various types of felt or masonry shingle style roofs, different metals, plastics and panels. These are more for commercial applications or big budget domestic designs including membrane roofs which can be paved and or landscaped with turf etc. One of the largest examples of the turf roof is Parliament House in Canberra. The Turf roof has received more attention, of late, through such reality shows as Grand Designs. They are very expensive and generally not economically accessible to the average home builder. For further information on selecting a roof during your new home renovation, talk to the experts at Capital Building Contractors. Call our office today.